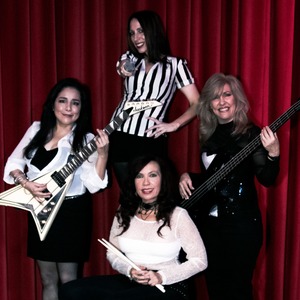 Power pop all female band specializing in THE GOGO'S/ THE BANGLES music and FAMILY FRIENDLY party rock music, all eras! Colorful interactive show n props. Bango’s get Jammy in January! Wear your craziest PJ’s for our PJ PARTY! Win prizes! Bar Tabs, band merch plus celebrate Jam bday babies w/ CAKE!! NON SMOKING venue, FREE parking, food n drink specials!